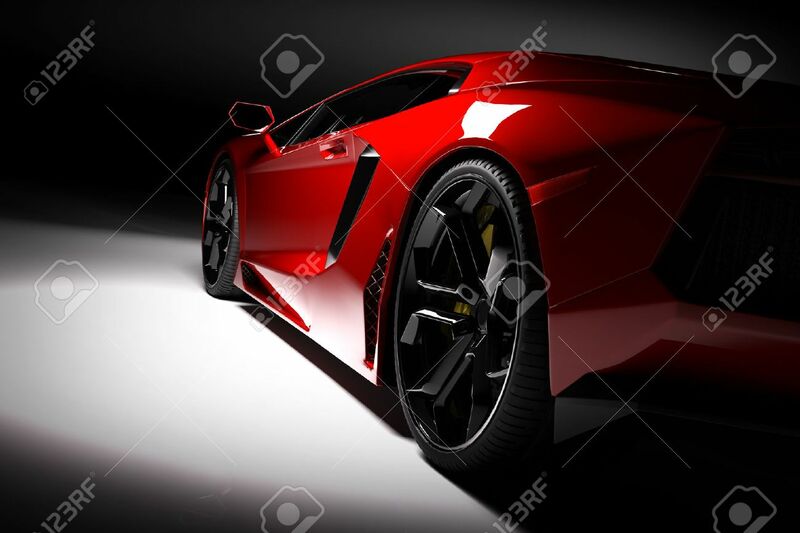 Red Fast Sports Car In Spotlight, Black Background. Shiny, New,.. Stock Photo, Picture And Royalty Free Image. Image 61712984.